2012 Guelph Jazz Festival announces Nuit Blanche program. Early Bird Pass deadline extended. Returning for its third incarnation, the Guelph Jazz Festival is proud to announce that its 2012 Nuit Blanche program will be taking place on Saturday September 8th. From dusk until dawn, the event will showcase over 50 additional performances to the already substantial 2012 Guelph Jazz Festival line up. Performers are joining us from South Africa, Brazil, India, Germany, Norway, Israel, France, the USA, and Canada, making this year’s program a truly worldly undertaking that is sure to enthral those in attendance. Projects at this year’s Nuit Blanche include São Paulo Underground, who will be playing at St. George’s Church Mitchell Hall at 2:30 AM. Formed around the talents of leading edge Chicago musician Rob Mazurek, and Brazilian musicians Mauricio Takara, and Guilherme Granado, their combination of laptop, cornet, drums, cavaquinho (the ‘miniature guitar’ of Brazil), percussion and keyboard evoke characteristics of noise, electronica and experimental rock brightened with complex Brazilian rhythms. Voted one of the best concert performances of 2011 by the New York Times, German saxophone ‘firebrand’ Peter Brötzmann and vibraphonist Jason Adasiewicz will enthral audience members with their dynamic yet sensitive exploration of improvisational jazz. Performing at 1 AM at the Guelph Youth Music Centre, this is a must see addition to the 2012 Nuit Blanche lineup. The 2012 ICASP Summer Institute for Critical Studies in Improvisation, an international pool of artists, poets and musicians, will present a series of small ensembles showcasing the unique cultural backgrounds and performance styles of its participants. Closely associated with the festival’s Colloquium program, the project, entitled Sonic Alliances, explores dynamic forms of community building. Happening at the Ballroom Class Studio (26 Eramosa Rd) at 10:30 PM, the group will demonstrate group improvisation strategies that will enhance the connections between audience and performers, making it a fun and inclusive activity. Guelph resident and respected folk artist James Gordon will be joined by context artist with a passion for dancing, Tanya Williams, for their Tuned Casseroles project. A structured, improvisational, participatory score with sound, movement, verbal rants, call-and-response sections as well as improvised solos will be a part of the proceedings, and the event will conclude with a ‘soap box’ improv, where the ‘orchestra’ responds to short spontaneous phrases by audience members about current issues. This interactive multi-media performance will take place at midnight at St. George’s Square. Returning projects this year include the CFRU Silent Dance Party, Whitestone Gallery’s Bring on the Night activity series, a solo performance by clarinettist François Houle, and trombonist Scott Thomson’s Riveradiant river-side late-night brass performance. Further information regarding these and other projects, scheduling, line-up updates and festival tickets and passes can be found at www.guelphjazzfestival.com. The Early Bird Pass deadline for the 2012 Guelph Jazz Festival has been extended! 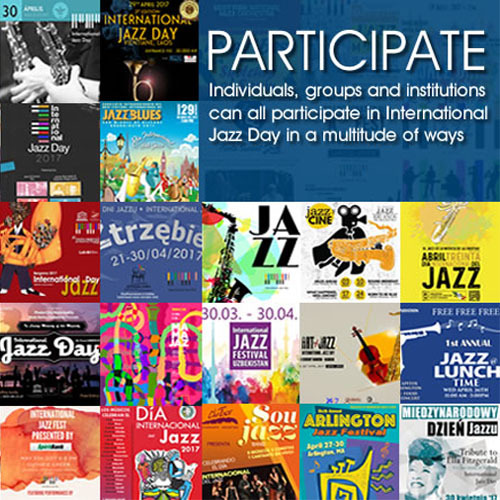 Now available until August 15th, these passes, which are discounted 30 per cent, allow holders entry into all 12 ticketed concerts, including performances by Abdullah Ibrahim, Myra Melford, Charles Spearin’s the Happiness Project, Huntsville, Darius Jones & Matthew Shipp, Nels Kline & Glenn Kotche, and a slew of others. A three-time recipient of the Lieutenant Governor’s Award for the Arts and the winner of the 2010 Premier’s Award for Excellence in the Arts, the Guelph Jazz Festival continues to be heralded as “one of the country’s most visionary musical events” (Globe and Mail), as “the hippest place on the Canadian jazz scene” (NOW Magazine), and as “an essential stop on the North American Festival circuit for lovers of creative improvised music” (The Wire, UK). Further information about ticketing, regular updates, news, as well as the unveiling of the Nuit Blanche lineup, can be found on the Guelph Jazz Festival website: www.guelphjazzfestival.com.